FROM STATUE PLAQUES to school books and trade agreements, the proof of a historic deal between Greece and Macedonia to change the latter’s name – a deal approved by Greek lawmakers on Friday – lies in the small print. Both the Macedonian and the Greek parliaments have now backed the new name, the Republic of North Macedonia. There is still no shortage of minutiae to be ironed out over the coming years. One of the causes of the dispute was Greece’s longstanding concern that Macedonia sought to usurp the heritage of Alexander the Great, one of history’s greatest conquerors and a hero-figure to most Greeks today. The 20-article agreement states that within six months Macedonia “shall review the status of monuments, public buildings and infrastructure on its territory… to ensure respect for (ancient Hellenic) patrimony”. Authorities must also remove all public imagery of the Sun of Vergina, an ancient symbol associated with Alexander’s family that adorned Macedonia’s first post-independence flag until 1995. 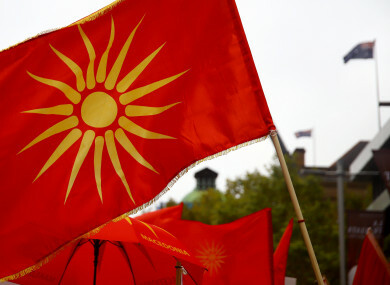 No reference is made to the present modified flag, a stylised yellow sun on a red field with just eight rays instead of the Vergina Sun’s sixteen. The nationality of the renamed state’s citizens will remain “Macedonian”. Greece will have some adjustments to do here, having called its neighbours “Skopjans” for the last 27 years. However, official travel documents are henceforth supposed to say “Macedonian/citizen of the Republic of North Macedonia”. The official language – held by Greeks to be a Bulgarian dialect – will be listed as Macedonian as well. When it seceded from the crumbling Yugoslav state in 1991, it kept the name Republic of Macedonia – already part of its identity for four decades, triggering the row with Greece that still endures today. Country codes for licence plates will change to NM or NMK, but for all other purposes – such as sports events – they will remain MK and MKD. A perhaps trickier challenge lies in establishing a common policy on the designation of local products, some of which have borne the name “Macedonian” in the Greek province of Macedonia for decades. Under the agreement, Athens and Skopje pledge to “encourage” their respective business communities to “reach mutually accepted solutions” to this trademark conundrum. Email “From pastries to passports: How the Macedonian name change will affect citizens”. Feedback on “From pastries to passports: How the Macedonian name change will affect citizens”.